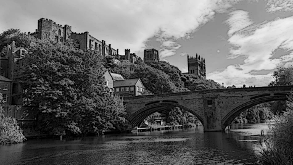 Join John Blackburn Physical Medium on an exciting weekend in the beautiful and historic Land of Prince Bishops in the city of Durham. Your weekend will include the following: Bed & breakfast on the Friday night and you will take part in a paranormal investigation at The Manor House, a 16th Century house which was originally built as a farmhouse. The building has been used as a convent, a court house and an orphanage.. Saturday afternoon you will have free time to enjoy the historic city of Durham, and its beautiful cathedral. Saturday night: To round up your exciting weekend we will meet at Vane Tempest Hall. The Vane Tempest Hall has had an incredible history dating back to the 1860's. In its time the venue has been home to a number of Army units and even doubled as a smallpox hospital in 1884. The Vane Tempest Hall has had an incredible history dating back to the 1860's. 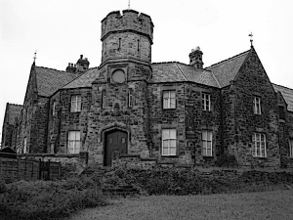 In its time the venue has been home to a number of Army units and even doubled as a smallpox hospital in 1884. The Barracks stables were used as the smallpox hospital, which included a "dead room" for storing deceased bodies. 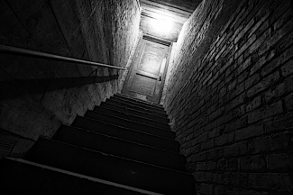 As can be expected, this area is considered to be extremely haunted and many have reported paranormal experiences while working in the buildings. There are many reports of activity varying from slamming doors to a sighting of a soldier roaming the grounds, he died as he accidentally blew himself up whilst loading a cannon. People who have seen his ghost state that it was a frightening experience as he became disfigured from the accident. Footsteps and sounds of dragging have been heard throughout the halls along with murmuring voices. The Hill House in Ross on Wye is hidden away in over 4 acres of private spiritual woodlands, which is a favourite location of Pagan/ Wiccans because of the energy that emanates from the forest. The original part of the building dates back to 1680 with additions in 1720. It is believed that the previous building that stood on this site had links to Goodrich Castle and there are stories too of a servant girl who met her demise when she was allegedly murdered and her limp body dragged through the house in the dead of night. There are no written facts to validate this account, however ask yourself when a house is haunted, the majority of hauntings are derived from a traumatic experience! Do you fancy a weekend away with spectacular views of the Wye Valley and the Black Mountains, along with two nights of paranormal investigation of the house and the private haunted woods? The price of your weekend will also include accommodation and breakfast for two nights! John Blackburn Physical Medium has organised a rare exclusive opportunity to join him on a paranormal investigation like no other. This event is only for a small group of 6 people to experience a Victorian Mining Village consisting of 5 buildings, 2 mines and the haunted forest! 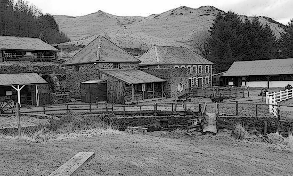 Men and even young boys aged 9 or 10 worked in the mines pounding rocks and washing lead ore. Poor ventilation was common place in lead mines, which created dreadful working conditions. Working in bad air was considered to be an occupational hazard. Lead poisoning and chest disease were common ailments. Working in deep mines were more dangerous. Not only was there the danger of rock falls and flooding, but mines could also run into pockets of gas underground that could lead to explosions or suffocation. The title Cannock Chase Paranormal Hotspots is one that is well earned for this particular location and makes a firm case of being the weirdest location in the whole of the UK. 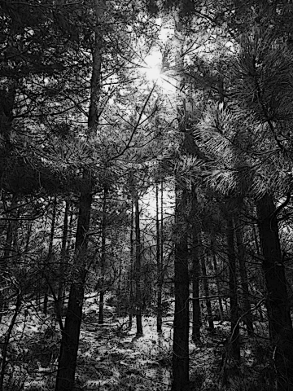 Whilst many hotspots might have a string of ghost sightings or a number of UFO encounters, perhaps a history of cryptid sightings, Cannock Chase seems to have it all. 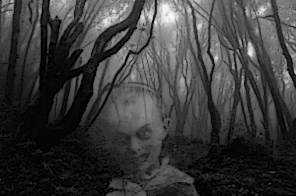 Sightings of black-eyed children since the 1980’s, alleged Werewolf sightings, spectral encounters, two documented UFO crashes and it is also believed to have a portal in the dark intimidating woodland. We are planning on camping in the woods for two nights. Options: One night investigation available at cost of £10, or Two at the cost of £20! Due to the amount of activity and mind blowing experiences we have had at Rendlesham Forest we are going back in 2019! We have set the date to Friday 16th and 17th August which we have organised on the weekend of a full moon for the moon energy and visual benefits... John Blackburn Phyiscal Meduim is taking you to a location of total mystery! 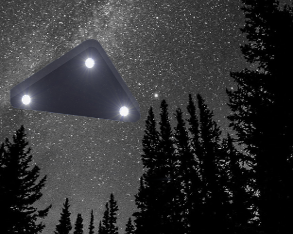 A UFO incident in a forest on the nights between the 26 th to the 29th December in Tangham Wood, which is a part of Rendlesham Forest was dubbed as Great Britain’s Roswell in 1980. Demons, red eyed demon dogs and unexplained unusual light anomalies in the forest are just some of what you may encounter! This will probably be the strangest investigation you have ever encountered! 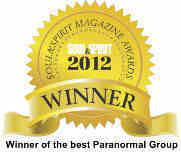 Join John Blackburn Physical Meduim on a Paranormal Weekend at Oakraven. 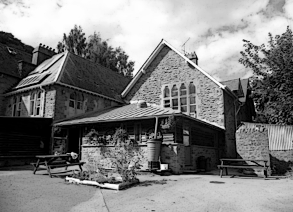 The main part of the building was built in 1878 and is ideally situated in the Forest of Dean. The Forest of Dean covers some 27,000 acres and is one of England's largest areas of ancient woodland. There have been some strange reports at Oakraven which range from banging in the middle of the night and ghostly shadows. Mediums/psychics have picked up information connected to 2 monks, one of which they sensed was quite peaceful and the second monk they sensed to be malevolent. You're weekend will consist of two nights of paranormal investigation, and a development workshop should you wish to attend. Also weather permitting we will be investigating the ancient woods. Halloween is but once a year, why not spend Halloween in a haunted chapel house and the notoriuos Shinning Cliff Woods! John Blackburn Physical Medium will lead you on a live experiment into the heart of Shining Cliff Woods and sleepover and vigils in a haunted Baptist Chapel! The Baptist Chapel is close to Shinning Cliff Woods. The Haunted Shining Cliff woods is a place with haunted buildings, caves and places of rituals. A short way up the hill is one of Shinning Cliff Wood's many fire pits, a site of pagan and satanic rituals over many hundreds if not thousands of years. This fine stone-built building in the heart of the Belper Conservation area, near the old village of mill-worker's houses known locally as "The Clusters." The Chapel, a Grade II Listed building dates from 1817, and is close to the town centre of Belper, a market town on the doorstep of the Derbyshire Peak District National Park. Over the years the Old Chapel has been plagued with reports of poltergeist acitity and things that go bump in the night! 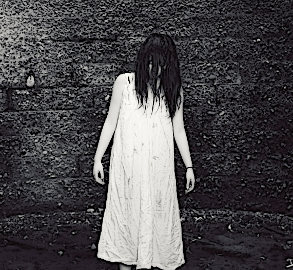 You will be sleeping and investigating the old chapel, and taking part in experiments too! John Blackburn Physical Medium takes you on an investigation at a new location. A clocktower and former pin factory which was built in 1743. 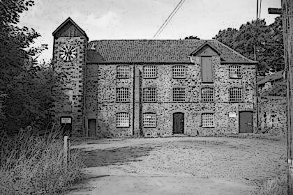 The Clocktower is the only one of a few buildings that is remaining from the original building, which was William Champion's Warmley Brass Works, a remarkable and unusual survivor from the early years of Britains industrial heritage. The building has been used for numerous industrial activities including pin making. Like all industrial factories in the mid 1700 health and safety was none existent, therefore industrial accidents were common place, some of which were fatal. This ia a new location which hasn't been investigated many times due to the fact that it has only just been opened up for paranormal investigations. Join John Blackburn for the last event of the year, we have chosen an event in the Worcestershire area which is not overused and managed correctly by the owners Michael and Sue who run regular spiritual and development events at the location, thus keeping the location active and constantly refreshed. “Spirit House” in Evesham, Worcestershire is an ideal location due to the many spirits that reside there. Headless knight from the battle of Evesham, Mary the Tudor Lady, a faceless Monk and the terrifying dark figure with a white scream-like face!